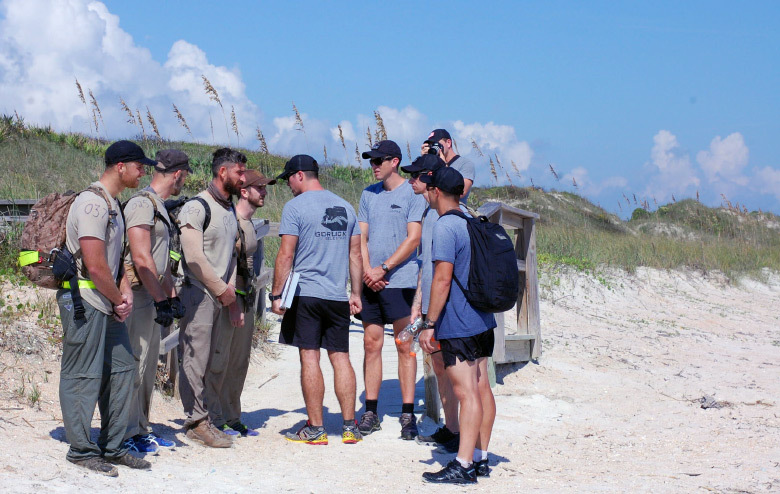 GORUCK Selection 015 began at 1300 on 2014-10-09. There were originally, 278 people signed on the dotted line and commit to take part in the event. By the time the week of the event rolled around, nerves, fear, and self reflection had slashed that figure almost in half – to 162. Only 83 showed up to the start point. Every GRS event begins with a medical check, gear shake down, and series of PT tests to determine which candidates are ready and eligible to begin the ordeal. The criteria for these tests are standardized and published well in advance of the event. 55 push-ups in two minutes, 65 sit-ups in two minutes, a 5 mile run in under 40:00, and a 12 mile ruck in under 3:30:00. Only 25 met all of the requirements and were allowed to continue. This means that for over two-thirds of the class, the event was over before it even really began. To say that cadre were disappointed by this result would be a gross understatement. Next up was the first Welcome Party, a task designed and staffed with the expectation of ~80-100 candidates making it through the induce phase. With this greatly reduced class size individualized coaching was about to be provided by the 15 cadre on hand. The next 4+ hours consisted of endless races in/around the surf. Bear crawls, crab walks, mass sprints in an area scarcely wide enough for half the class. As advertised, it paid to be a winner and rest was awarded to those who performed at peak output. Anyone seen falling behind expectations was singled out for special attention. Some rosters took these thrashings on the sidelines as a wake-up call and turn up their intensity – others eventually succumb to the added pressure and VW’ed. Waves of candidates tapped out throughout the evening and in to the next morning. For most, a trip to the waterline with multiple cadre signaled the end of your event. This day began where the previous one never ended. Running and rucking continued through the darkness. A sunrise run was planned to kick off the “new” day, and a greatly reduced class took off for 8 miles. 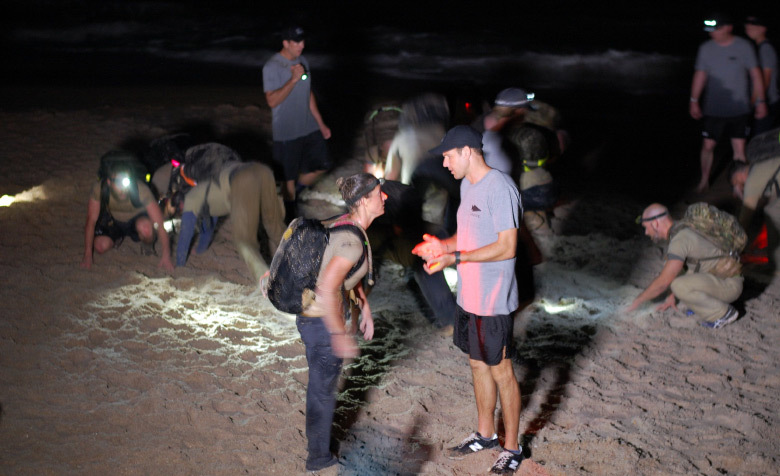 At the end of that event 5 remained on the roster and geared up for a lengthy ruck north on the beach. 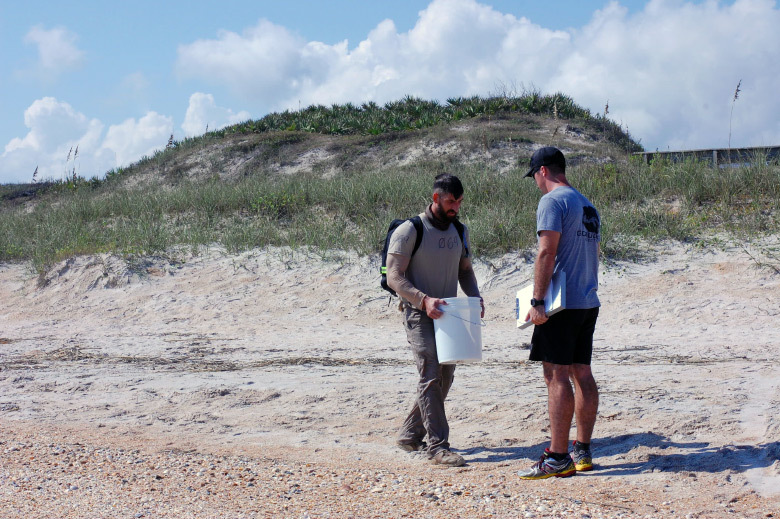 Sometime around noon the remaining four arrived at South Beach, deposited their buckets, and were given some admin time in the shade as well as their first nutrition – some Gatorade. The midday sun was oppressive and this influx of calories and electrolytes brought several of the group out of zombie-mode. Hydrated and prepped for movement the group continued up the coast, being sent in to the surf repeatedly by cadre to keep core temperatures in check. Many miles and hours later they arrived where the event began. By now the group had been on the move for well in excess of 24 hours. They were given mid-event medical checks, some chow, and a brief time to sort out their bodily, gear, and rest needs. When the order was given to ruck up roster 039 (Chris Holt) was unable to continue. 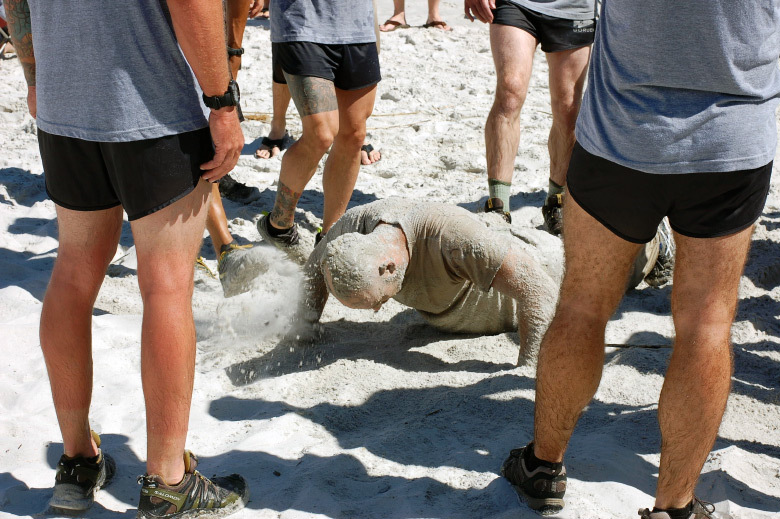 All of the rucking on soft sand had taken it’s toll and claimed his hip flexors. With the prospect of another 24 hours ahead of them he elected to withdraw. 025, 037, and 069 were briefed on the next evolution: Log PT. 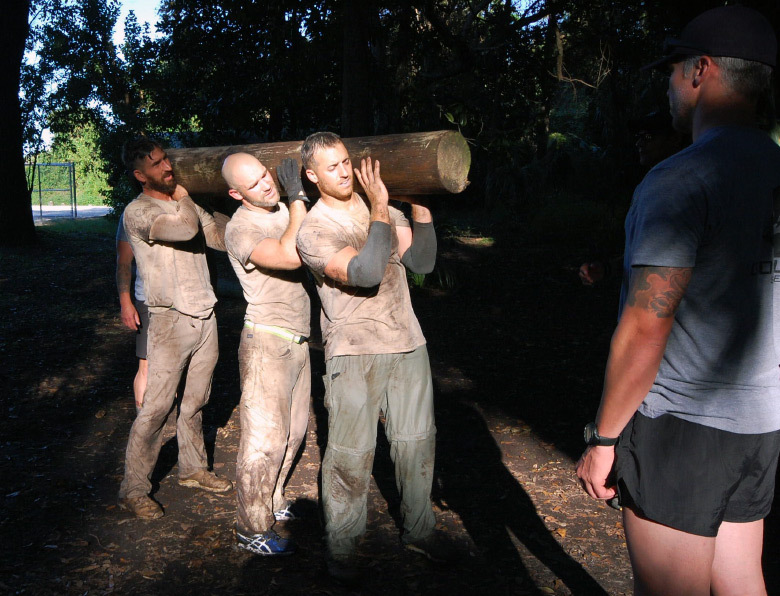 The difficulty of the event escalated quickly and the three were forced to work together on performing squats, thrusters, presses, curls, crunches, and myriad other miserable tasks. Bad things happen quickly at Selection, and 069 (Tim Schiffmacher) called an abrupt end to his GRS attempt – and then there were two. The pair completed log duty and were sent off to the parking lot to fill 40/60# sandbags. (ed note: This is the first time I got a sense for how thin the class size had become compared to HQ estimates – they packed a few dozen sandbags, but only got 2 dirty). This evolution followed much the same format as the logs. Both candidates spent hours doing cleans, thrusters, curls, squats, sprints, and all other manner of miserable chores with their bags. The only upside of these two sets of work is that they took place mostly in the shade, so they had a chance to bring their core temps down. Cadre Geoff assisted in this process by occasionally blasting them in the face with a water hose. It was harsh, but fair, treatment. Sunset was fast approaching, and it was time to leave the outpost. 025 and 037 moved back to the start point, and it became apparent that something was amiss with 037 (AJ Hickey). I’ve been around many athletes riding that fine line of complete exhaustion – this felt different. None the less, he confirmed his intent to continue and the pair hit the beach. I won’t divulge most of what happened in the next evolution, as it would impact the behavior of future classes. 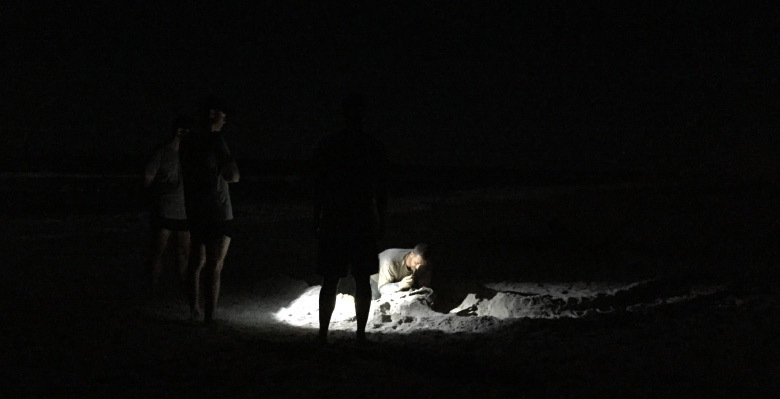 Suffice to say that they spent a very long time digging ranger graves, low crawling up and down the beach, making continual trips to the surf line, and getting PTed in the dark. 037 was slowing down and having a hard time following instructions, but still performing tasks. Then they were given a break to refit and rest before the Long Walk, and it happened. Cadre began to switch roles for the next movement while Kling and I stood watch over the candidates. 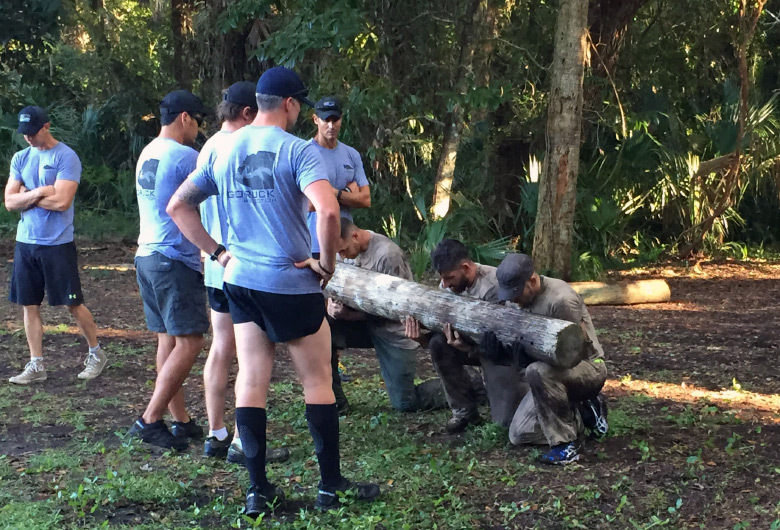 Cadre Garet came sprinting around the corner, bellowing for them to get on their feet, ruck up, and prepare to move. He began looking around, but you could tell that his brain wasn’t connecting with his body. The lights were on, but no one was home. Cadre instructed 025 to continue prepping while 037 got a med evaluation. He was unable to speak, and when instructed to drink water and sit up – he assumed the push-up position. It was time to call it, his Selection was over. A car was pulled around, Kling and I put our buddy-carry training to good use, and we loaded him in to a car with Paige and a pair of cadre. His next stop would be the hospital where they discovered greatly reduced kidney function and rhabdomyolysis. Seeing such a strong athlete go down like that was crushing. As we saw to AJ, 025 started moving on his Long Walk. It was now roughly 0200. All good things come to an end. His “good time” ended at approximately 1130, nearly 46 hours after beginning. 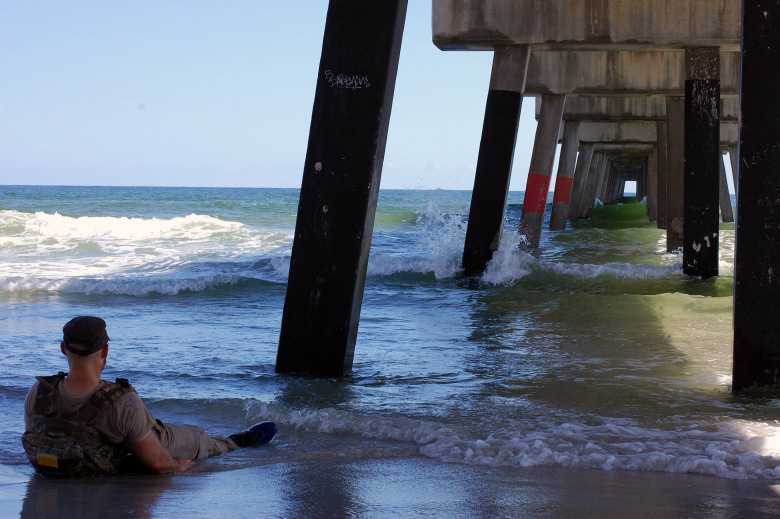 025 turned the corner, crossed over the berm beside the Jacksonville Fishing Pier, and came face to face with 15 cadre. He was almost done, but nothing is given in this event. Everything is earned. Oddly enough, the spectacle of one poor soul being screamed at by 15 dour faced men draws a crowd in a public setting. 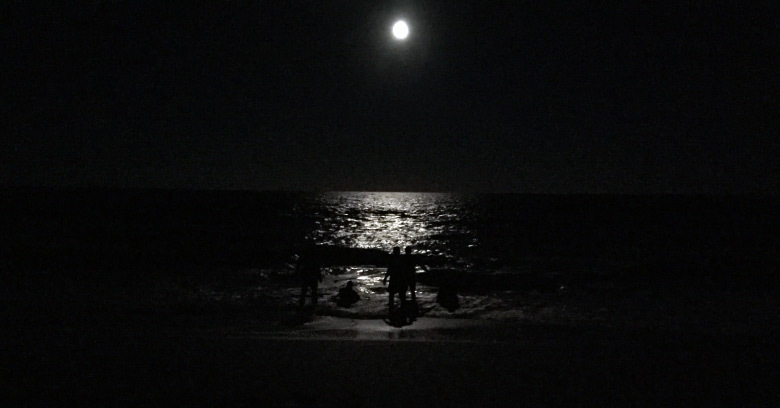 025 was getting smoked in the ocean, but the entire beach would erupt with cheers and applause whenever he was brought to his feet and struggled his ruck overhead. And like that, it is over. 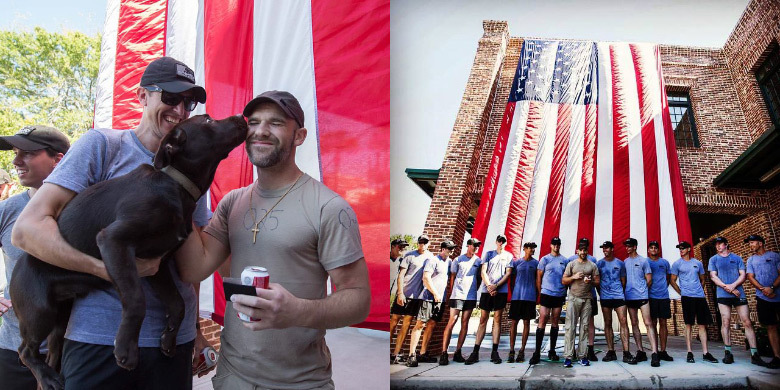 025 is again Jon Eytchison, and he is the 23rd person ever to complete GORUCK Selection. He thrived in the face of extreme hardship, smiled whenever cadre weren’t watching, cared deeply about the athletes around him, and put out 100% effort 100% of the time. I am honored to call him brother. Welcome Jon. Thank you for posting this AAR. It along with the updates are a wealth of information about Selection. Nicely documented and told. Thanks for sharing! That is an amazing post event write-up! Thank you for this AAR, James. Great AAR. Thank you, James!